Chinese Internet giants Baidu, Alibaba and Tencent (BAT) will account for the lion share of programmatic expenditures in China as advertisers are predicted to invest $22.81 billion on programmatic digital display ads this year in the Asian country, with mobile accounting for 83.7% of that total. 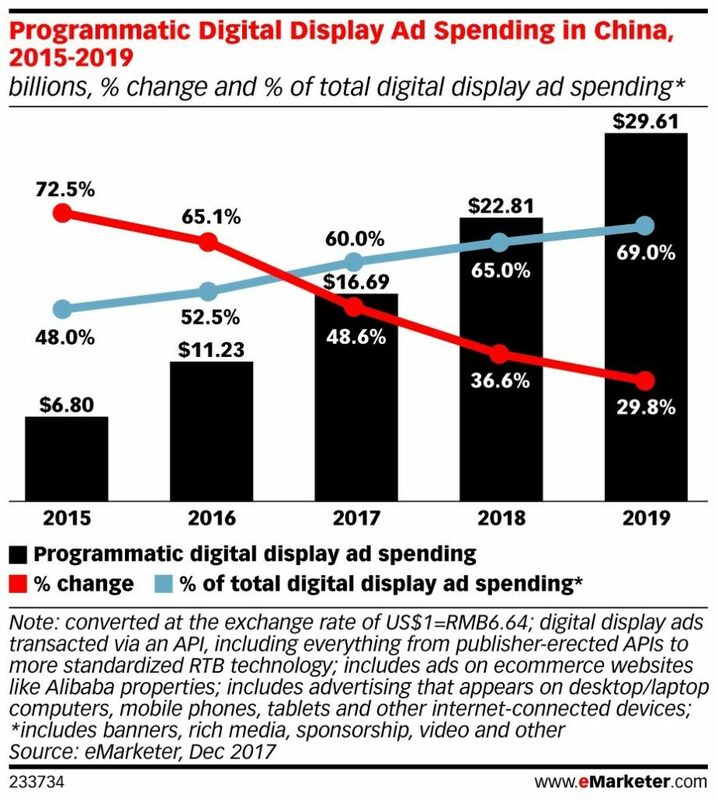 This is according to eMarketer’s latest forecast of programmatic ad spending, which also found that by the end of 2019, programmatic digital display ad spending in China will reach $29.61bn, representing 69.0% of total digital display ad spending in the country. The forecast also predicts that because of the high smartphone penetration in China, mobile will continue to be a major growth driver of programmatic spend. “eMarketer raised its estimates on programmatic ad spend in China, thanks to the growing influence of the BAT companies,” said Shelleen Shum, senior forecasting analyst at eMarketer. 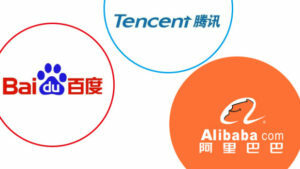 BAT will also collect a combined share of 64.1% of digital ad expenditure in China by 2021 with Alibaba securing more than 35%, followed by Baidu with 18.4% and Tencent with a 10.4% share, according to eMarketer’s previous forecast.